There are more than a few reasons to get a car title loan, and in our many years of experience as a Texas payday lender, we’ve seen just about all of them, as far as we can imagine. But before we dive into the meat and potatoes of today’s blog post, we’d like to remind our readers about who we are at Your Loan Depot. Your Loan Depot is a Texas payday lending company that offers payday loans, car title loans, and bad credit loans to folks who need them. If you aren’t sure what the difference is between those types of loans, you can find all that information and more by browsing our website. For the purposes of this blog, however, a car title loans (also called simply “title loans”), are a kind of loan that involves vehicular collateral, which is a fancy way of something you have to put up your truck, SUV, or other operating vehicle to get the cash you need. While payday loans don’t require vehicular collateral, you’ll also notice that payday loans cap out at around $1,000 in emergency cash available. Contrast that with title loans, which let you get emergency cash in sums up to $10,000. There’s a bigger cost with title loans, but there’s also more cash. No two people have the exact same needs or means, so if you aren’t sure about which loan type is right for you, just give us a call or walk through our doors to get some help. Perhaps the best way our payday lending company separates ourselves from other lenders is by our level of customer service. While other payday lenders might pay lip service to the idea of going the extra mile for customers, we’ve found the follow-through is often lacking when it comes to those claims. At Your Loan Depot, we are happy to answer any questions you have, as it is our priority to make sure you understand every detail of the loan. That means you know how much you have to pay back, how often you have to make a payment, and plenty of other information we are happy to walk you through. At the end of the day, we want to do right by our Texas community. We think we are on our way to being the best payday lender in Texas for exactly that reason! As the title already stated, today’s blog is all about the top reasons people get car title loans. We’ve already addressed one of them, as it turns out, insofar as we discussed how title loans usually allow our customers the chance to receive more cash. Depending on how much money you are in need of, it might be the best route. We’ll spend the rest of today’s post highlighting a few of the most common reasons people get title loans so that you can compare our list with your circumstances. But remember, whatever question you might have, we are more than able to help you out and answer it when you walk through our doors. We love putting our experience and industry knowledge to good use for our customers. With that thought in mind, let’s dive in. Security Deposit On Your New Apartment – This situation might describe your own. You are feeling good about your new digs, and you have a steady job where you can make rent and pay for other living expenses, but the security deposit is a major stumbling block. If you are like many of us, you’ve had poor experiences in dealing with landlords in the past, especially when it comes to getting all of your security deposit back. You were counting on that money to pay for this security deposit, but that’s not going to happen. Paying $900 per month for your apartment is doable, but scraping up three times that much for the security deposit? That is a tough ask for many. Car title loans can be the solution you are looking for. Funeral Expenses – This is one of the most difficult situations people find themselves in. Funerals often cost thousands of dollars, and if there’s an unexpected death in the family it’s not uncommon for the deceased to not have any funds available to pay for the funeral. For folks who want to honor their family member who has passed away, going with an auto title loan can provide the sum of cash needed to fund the funeral expenses. Car Repair – New tires can cost more than a thousand dollars, as can a wide range of common vehicular repairs. It’s often the case that we don’t have enough cash stored away to pay for these kinds of repairs. If you have a vehicle in good operating condition that you can put up as collateral, doing so to fund expensive car repairs is worth your consideration. Medical Expenses – Along the same line of thought as the reasons listed above, unanticipated medical expenses can come up out of nowhere. When it’s health-related, you don’t have a choice, whether it’s for you or your loved one. Auto title loans can be the solution when your medical expenditures are more than your bank account can handle. Moving Costs – Moving is an exciting time, but it can also be a stressful one. It’s likely even more stressful when you are faced with expensive moving fees. Packing everything up and moving it across town (or across the state) can cost you an arm and a leg, but it doesn’t mean you are without options. Car title loans might be the ticket to fund the move, assuming you have a vehicle that’s in good working condition. Receive up to $10,000 with a Texas title loan from Your Loan Depot! You Have Bad Credit – The final reason we’ll highlight in today’s post is perhaps the one that’s most common. If you have either bad credit or no credit at all, you aren’t going to be able to get the emergency cash you need. You might be in need of a bad credit loan, which can come in the form of a car title loan or payday loan. 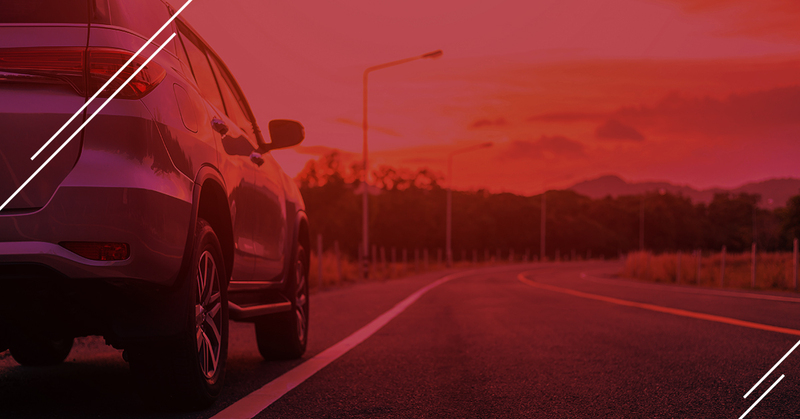 While credit unions and banks might deny you, using your car for collateral might be worth considering, especially when you work with a title lender like Your Loan Depot. No matter the specifics of your loan needs, we are passionate about finding the right option for our customers. We’ll work with you to understand what you are looking for and put together a loan plan that you are comfortable with. We have multiple locations across the great state of Texas, so the odds are strong that we are within a reasonable driving distance of you. If you are looking for a lender that is trustworthy and affordable, Your Loan Depot has you covered. We offer a wealth of experience and industry knowledge, so we are happy to walk you through each step of the process, no matter what kind of loan you are interested in. Just give us a call or walk through our doors. Remember that you can also apply online if you prefer. We’d love to hear from you!